They're game for any mortal thing, from this sparring to pitch and toss. And they always seem so jolly, oh! so jolly, oh! so jolly, oh! 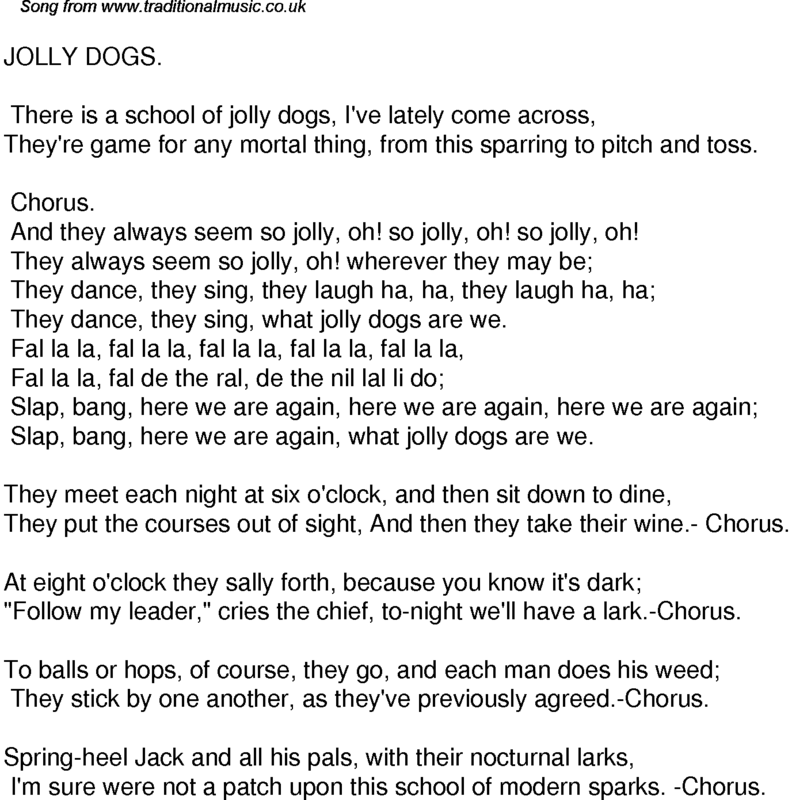 They dance, they sing, what jolly dogs are we. Slap, bang, here we are again, what jolly dogs are we. They put the courses out of sight, And then they take their wine.- Chorus. "Follow my leader," cries the chief, to-night we'll have a lark.-Chorus. They stick by one another, as they've previously agreed.-Chorus. I'm sure were not a patch upon this school of modern sparks. -Chorus.